You may use your Google credentials or your Facebook credentials to log in. In this example, we will use Google. 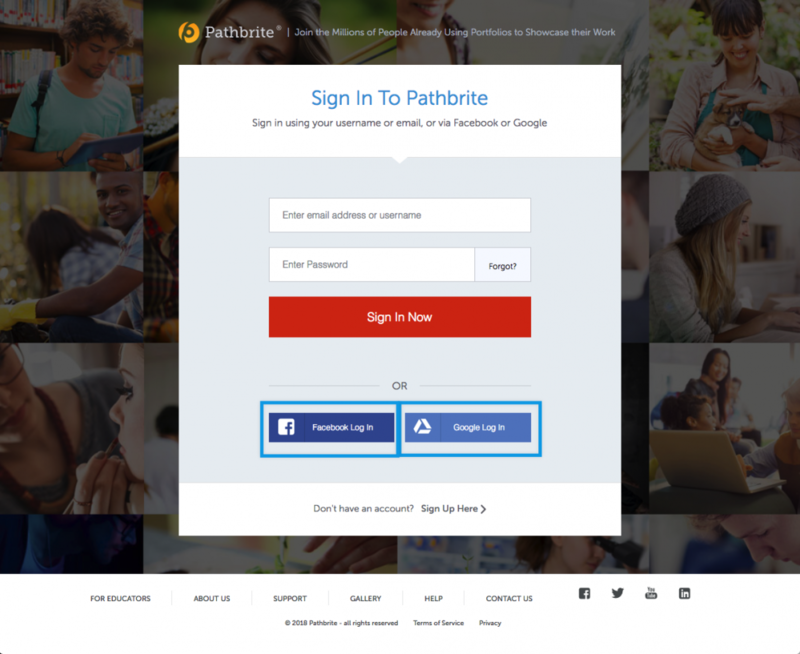 Create your Pathbrite account “the traditional way”. 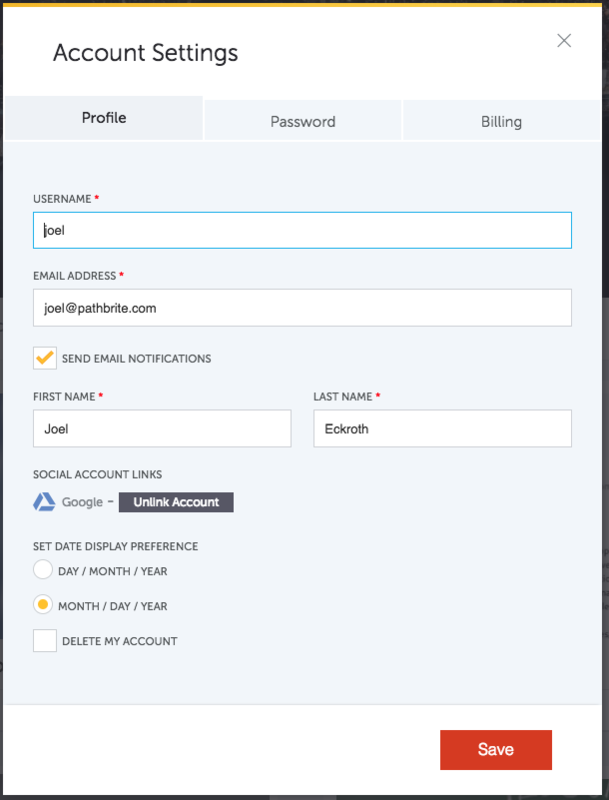 You must register your Pathbrite account using the same email address that your Google account is registered to. Update your account settings if you need to. Be sure to save your password someplace convenient. Click on the Google Log In button. A pop-up window should appear. If you do not see the pop-up window, please temporarily enable pop-ups in your web browser. Click the account you’d like to use. Enter your credentials as prompted. 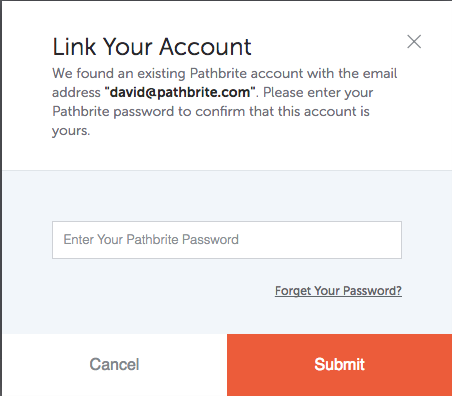 Enter your Pathbrite account password. The next time you log in, click the Google button and you will be prompted for your Google Log In credentials if you are not already logged into Google. 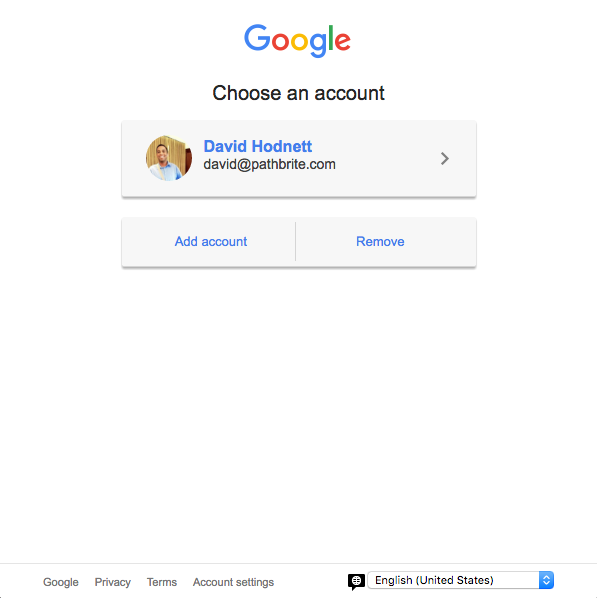 If you no longer wish to be able to log in via Google or Facebook, select the user menu in the top right corner by hovering your cursor over your name and image. A drop down menu will appear. Click Settings to view your Account Settings.